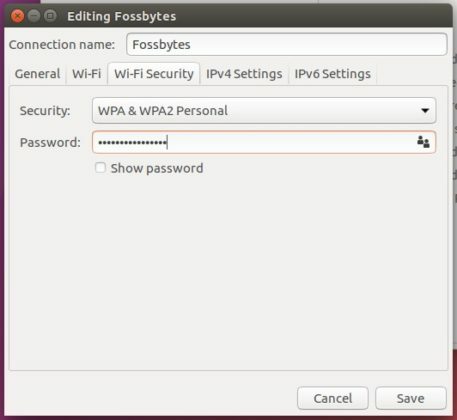 How do we find saved WiFi password in Linux? First you need to click on the WiFi icon in the top right corner to reveal a drop-down menu. At the bottom of the menu, Edit Connections option. 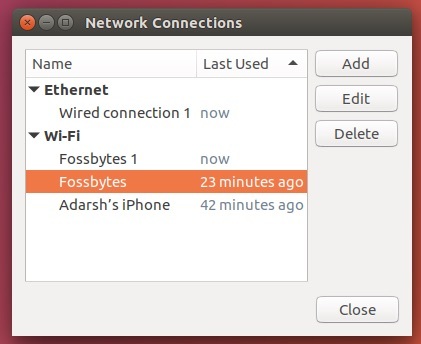 After clicking the network connections, you’ll see different options under Ethernet and Wi-Fi. 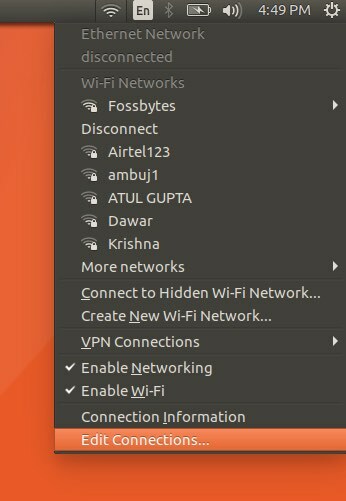 You’ll see the saved network connections under the Wi-Fi option. 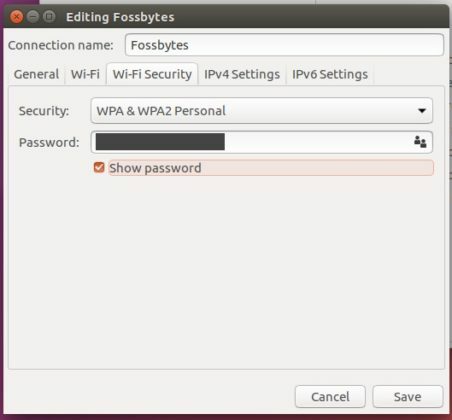 Depending upon your requirement, you can click on a WiFi network to select it and press the Edit button for further operations. After you click the Edit option, a new window will appear with different tabs. There, you need to select the Wi-Fi Security tab. This will reveal the security and password associated with it. It’ll be hidden. 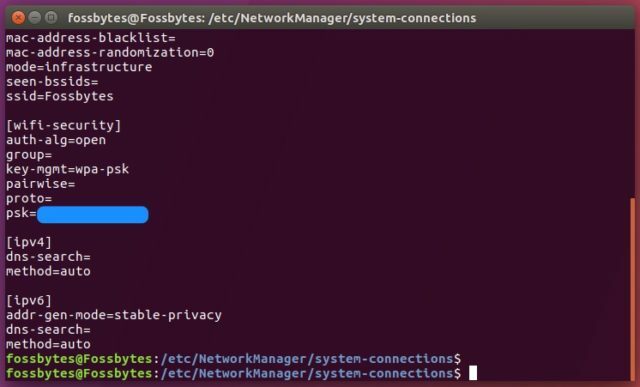 Now tick the Show Password option to show the saved password of the network. If you’re not acquainted with the other options, don’t fiddle with them as they might end up messing with your wireless configuration.